Lube for the print carriage bearing raceway. 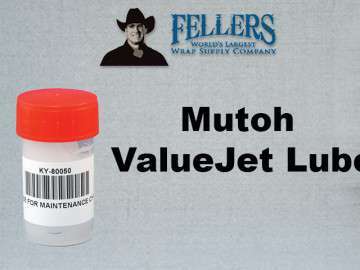 Regular cleaning and greasing/lubing of raceway will keep the Valuejet printer in optimal working condition. Mutoh recommends using monthly; high volume printers will need to use more frequently.